46 photos, most taken in Belfast and Cobh in May 2012, looking at some of the places associated with the ill-fated Titanic 100 years after she sank with huge loss of life. 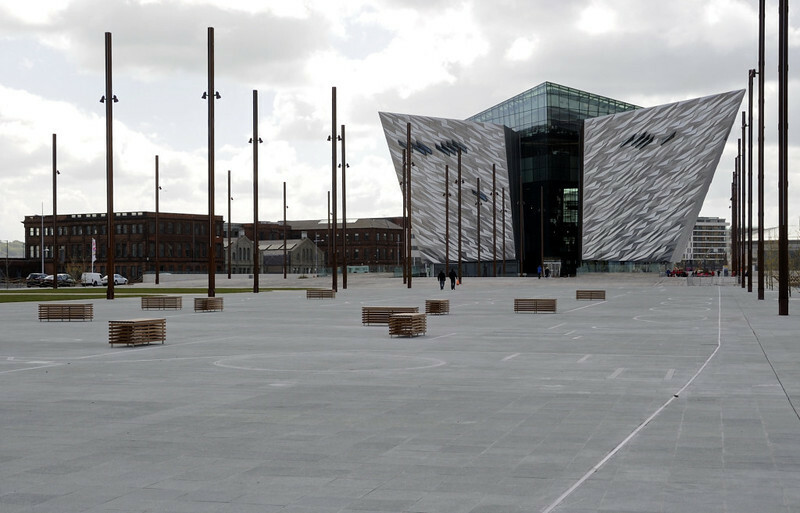 Site of the slipway where Titanic was built, Titanic Belfast, Tues 15 May 2012. The white line marks the outline of her hull. The Harland & Wolff drawing office where Titanic was designed is in the left distance. The new Titanic Belfast vistor centre is at right.